Just The Strings revolve on Imo, an "emo" girl played by Cora Waddell, who loves books and underground music. Her not-so-exciting life suddenly turned exciting when she accidentally rode the car of Saint, the school heartthrob played by Luis Hontiveros. Thinking that it is her UBER ride, things turned romantic soon afterwards. Of course, there's also the character of Starstruck finalist, James Teng, who will play the part of Parker- Imo's childhood bestfriend and long-time secret crush. Curious about who will fall in-love with who? Find out as Imo, Saint, Parker pull that string of love. This episode is surely for the young and old, the kilig-factor between the characters are undeniable. 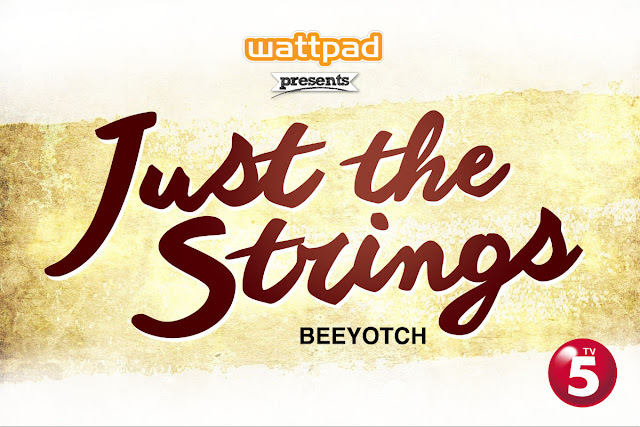 Just The Strings also stars Chris Leonardo, Jefferlyn Serrano, Ruth Lopez- Dee and Sophia Reyes. Written by Mark Ghosn and Fyodor Macanda, under Firestarters Productions, INC. and directed by award-winner director Isabel Quesada. WATTPAD PRESENTS Just The Strings is on Saturday, July 29, 2017, 9PM on TV5.